The original aerial wrestler, Ricki Starr in 1953. Born Bernard Herman in St. Louis, Missouri in 1931, Ricki Starr was a legitimate ballet dancer before wrestling professionally and incorporated that in his ring style. "The Sensational Wrestling Ballet Dancer"
Billed at 5'10" and 205 lbs and made his pro wrestling debut at 22 years old (1953). His father Joseph Herman wrestled, boxed and refereed in Missouri and Illinois His father had been a wrestling referee. Before entering pro wrestling, Ricki Starr was an amateur boxer who won numerous titles. Ricki Starr was briefly at Purdue University in 1950-51 were he gained a reputation as a solid middleweight amateur wrestler and all-around tough guy. Starr was at the AAU nationals for three straight years, finishing fourth in 1950 after a loss to future pro Joe Scarpello and placing third in 1951 at 175 pounds. After his amateur boxing stint, he became a touring ballet dancer after his amateur boxing stint as a stepping stone to pro wrestling. Thanks to his ballet dancer's routine and gimmick, Ricki Starr became a well-known name in pro wrestling. He was soon a main eventer selling out the famous Madison Square Garden in New York on numerous occasions. His top years in the United States were from 1957 to 1962 (age 26 to 31). 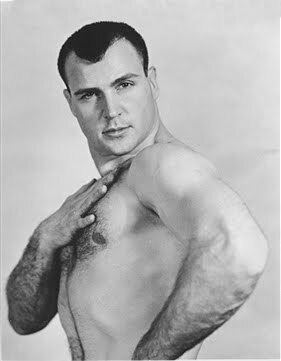 Ricki Starr portrayed a ballet-dancing acrobatic wrestler with gay overtones and getting it over everywhere as a babyface despite living in the very conservative era of the 50s. Jack Pfefer, known for sideshow wrestling, was his real-life manager and publicist. Ricki Starr died on September 20, 2014.